13L steel tank is Endurall® epoxy-coated. Spray wand will accept the 141-680 adapter assembly (sold separately) equipped with the popular 8004E TeeJet® nozzle tip. Brass nozzle tip, flat-fan pattern. 25cm brass pump – great for high-temperature and many solvent applications. 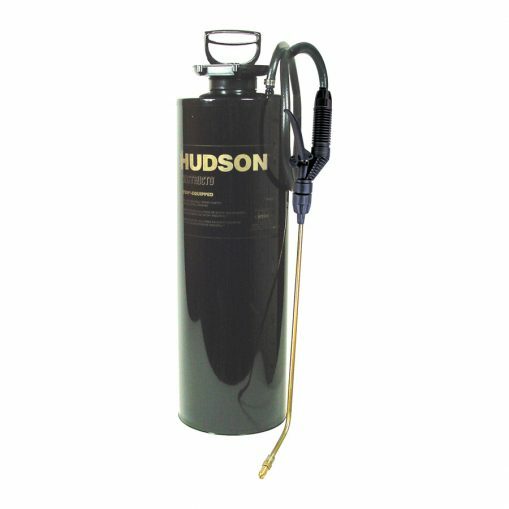 The Hudson Constructo Galvanized Steel Sprayer is ideal for many commercial jobs. 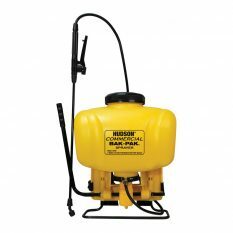 The Endurall 13-litre steel tank is epoxy-coated inside and out, and the metal shut off roto-valve rotates 360 degrees for ergonomic comfort. A strong brass 45-centimetre spray wand is included which accepts the popular 8004E TeeJet nozzle tips with the 141-680 adapter. An adjustable brass, flat-fan pattern nozzle directs the chemical right where it is needed. The 25-centimetre brass pump is great for high-temperature and many solvent applications. One-year warranty. Be the first to review “Constructo Galvanized Steel Sprayer 13L” Click here to cancel reply.